Should I reserve my campgrounds in advance for RV road trip in Canada? Should I reserve my campgrounds in advance? 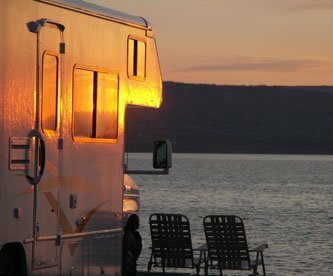 We strongly recommend booking your campsites in advance for your Canadian RV road trip. First of all, if you are travelling in July - August, you will be here in high season. In high season it is esential to reserve ahead of time. If you wait until the last minute, there may be nothing available. Take note that you are not allowed to spend the night with your RV wherever you please in Canada. Campgrounds are your best option by far. Second, even if you are travelling outside of high season, it is better to plan your itinerary ahead of time and reserve your campsites before leaving home, in order to make the most of your trip once you reach Canada. You don't want to spend your precious holiday time looking for places to sleep! Opt for peace of mind. Your time will be better spent exploring our great outdoors! When should I reserve my RV?